USEFUL TIPS: Let the instructor know if it’s your first time. Bring water, towel and avoid heavy meal before class. Alternatively, fruit is usually recommended. 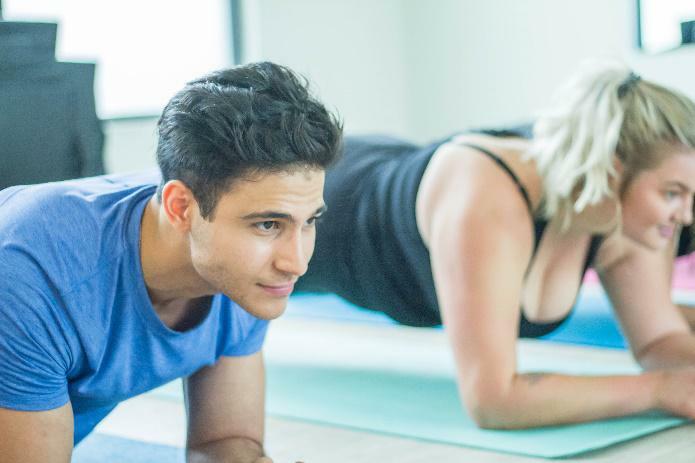 Strengthen your core and improve flexibility with our yoga classes. Learn breathing and relaxing techniques within a serene environment. Get healthy while dancing! Enjoy learning dance and aerobic movements to energetic samba, salsa and mambo beats. You can never get bored with circuit training. It is a challenging, diverse workout which utilizes several types of equipment, gets your heart rate up, and strengthens your muscles. It is a full body workout where you move quickly through 8-10 exercise stations focusing on different muscle groups with little to no rest between stations. Each station has a different exercise, for example; you may do kettlebell swings or an exercise on the TRX for 60 seconds. The rep range is usually 12-20 per station, lasting between 45 seconds and 3 minutes. This type of workout is designed to strengthen your body through muscle confusion (which is the idea that by constantly changing your workouts you “confuse” your muscles and thereby increase the stimulation and resulting adaptation) and interval training. 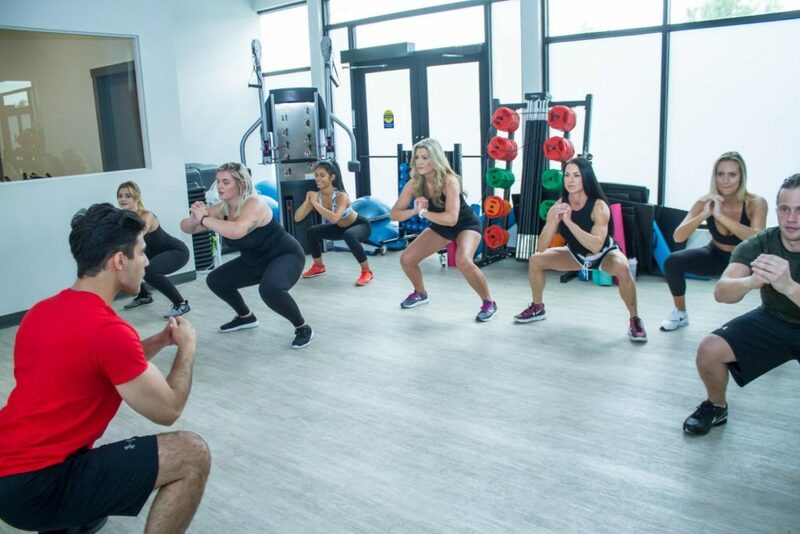 It can be modified to suit all fitness levels, whether you’re a beginner, trying to get back into it, or want to supplement your current program, the Circuit Training class is a great option for you. Bootcamp class will push your limits, maximizing your work frequency and developing strength, stability, power, and mobility. Each session involves circuit training either utilizing body weight or the mixture of equipment provided and includes a variation of high-intensity-interval-training (HIIT). Not only does this class build and strengthen your muscle but it’s beneficial for your cardiovascular system too. 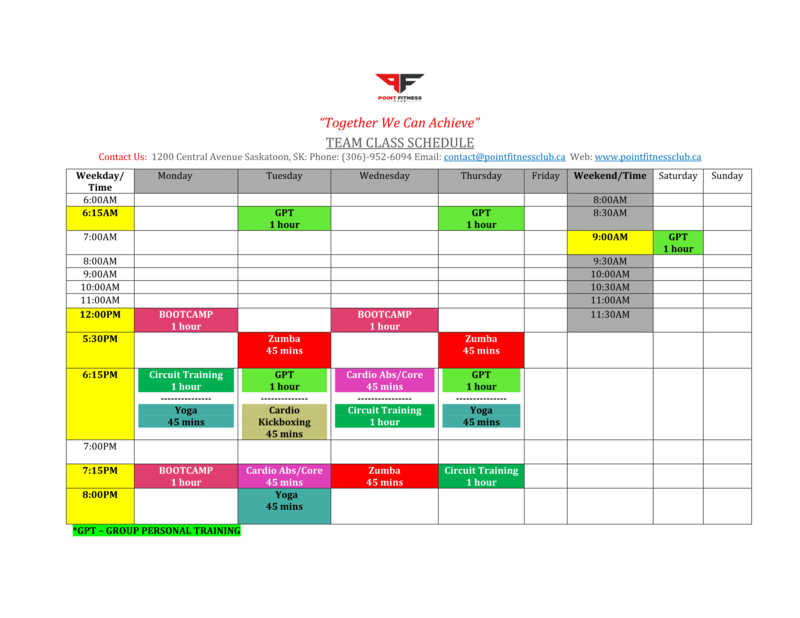 Bootcamp classes are typically intermediate level but can be adjusted for high and low impact options to cater to different fitness levels. Either way, you will be challenged, and you will train like an athlete. Those with a goal of losing weight often achieve impressive results attending the Bootcamp classes. Are you ready for a real high-intensity workout? Then the Cardio Kickboxing fitness class is where you will kick and punch your way to fitness. 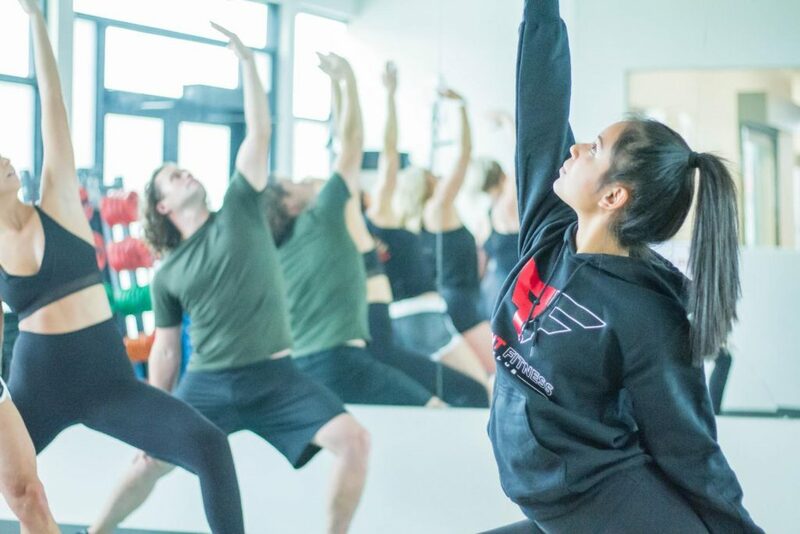 This high-energy class combines martial arts; cardiovascular and resistance work to improve strength, agility and balance. All levels welcome. You will be doing lots of repetitive, powerful body movements from hand jabs to power kicks, and much more. 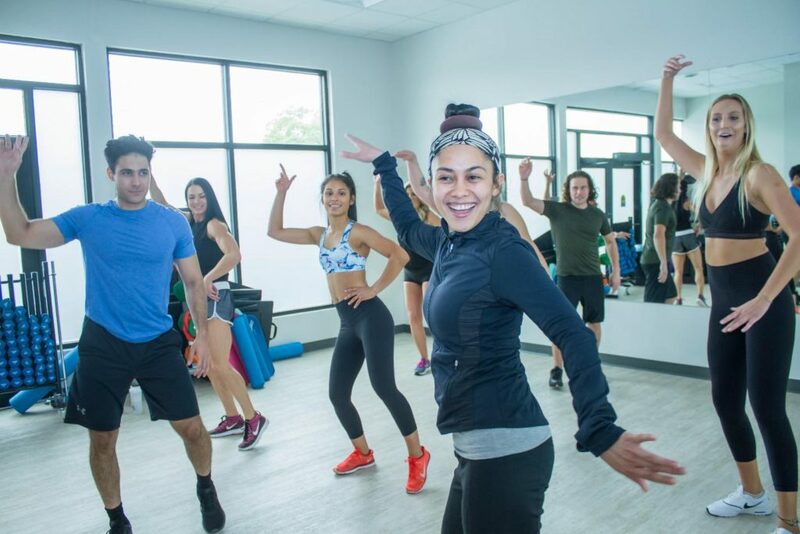 Our expert team of Point Fitness Professionals have designed this class to burn stubborn fat and get you into peak shape, burning tons of calories, increasing stamina and losing weight. You will be stronger, healthier, happier, gain strength, endurance, balance and relieve stress. This will develop a winning and more positive attitude. And that is priceless! This new innovative Cardio Abs/Core team class, combines RealRyder cycling experience with Abs/Core team training. It’s a combination of two team training sessions in one awesome experience!